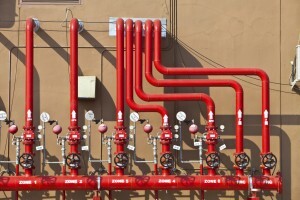 Do you know when it is time to upgrade your fire protection system? How long have you had your commercial fire protection systems? If you aren’t sure of the answer or if it has been a while since you had the system installed, it may be time for a new one. Like most systems in your commercial space, fire protection systems do not last forever. Even the best-maintained systems will need to be replaced eventually. So how do you know when your commercial fire protection system needs to be replaced? Read on to find out. The fire protection industry has made a lot of strides in technology over the past several years. So if your system is older, it may be time to replace it with an updated system with more features that is more reliable and efficient. An older system could be putting your commercial space in danger, but with new technology, your space will always be protected. Have you updated your building? Maybe you made an expansion or added more workers. Either way, you should upgrade your fire protection systems. These changes could have affected the fire codes in your area. Your building may not require additional fire extinguishers, sprinkler system piping, and fire alarms. Even moving your storage, like flammable items, could affect your building’s system. It is important to always keep your building up to code and to make adjustments as needed to ensure your business is properly protected. How many times have you had to call Fireline to come out for a service call? Are they becoming more frequent? If you have had to increase your calls because something was just not right with your system, it could be a sign your system is ready for an upgrade. Frequent calls could mean your older system isn’t functioning properly. To ensure your system is functioning properly and to reduce your service calls and maintenance fees, you should consider a new system for your commercial space. These are just some of the signs your commercial fire protection system may be giving you that you need an upgrade. For more information on updating your commercial fire protection system, call Fireline today! This entry was posted on Friday, August 26th, 2016 at 9:43 pm. Both comments and pings are currently closed.